McClelland’s outstanding results have been built around a very simple philosophy: We know your child better then you know them yourselves... Our teachers teach students – not subjects. McClelland’s commitment is to discover and develop passions and talents; our teachers’ work is to facilitate successful learning by developing highly effective learners. McClelland has discarded the factory approach to teaching which fails the needs to today’s students. The out-dated assembly line style of teaching and learning had students move through their years of education in set modes and in set batches, assuming that young people learn the same things, in the same ways, and at the same rate. Rigid information and skill sets formed the core of factory-type education, making it “content focussed” instead of “student focussed”. In a world of rapid social, economic, environmental and technological change, this old method stifles a student’s growth and creativity, locks out students who need to be accelerated, and does not serve students’ needs to successfully live and work in a modern world. See Sir Ken Robinson’s view on education on our front page. Our teaching staff undergo continuous research-based coaching and development that purely focuses on the students they teach and the results they get with these students. Every teacher engages in class visitation and feedback sessions with a member of the Principal Team to ensure we are meeting all the students’ needs and pushing them to achieve the highest standards they are capable of. 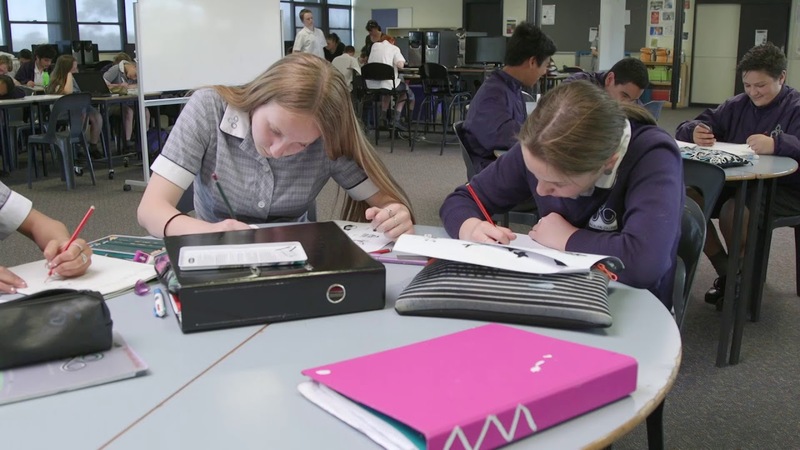 McClelland understands the importance of structuring flexible learning environments where students are grouped to target specific knowledge and skills which they are ready to learn. McClelland has been refining this approach for over 10 years and is recognised as a forward thinking school, well placed to meet the educational challenges of the future. One of the most important parts of becoming an outstanding student at McClelland is for the staff to guide our students to find out who they are, what they are passionate about and how they best learn. Careers planning starts at Year 7 at McClelland College and all learning is constantly brought back to how everyday builds towards the future. This ensures students never lose sight of a bigger picture and feel in control of their destiny and learn how to make it happen. McClelland clears space for this to happen and ensures parents are active contributors by providing one on one course counselling from Year 8 where parent, teachers and students sit down and discuss career plans and all the different pathways that can be taken to allow students the best possible choices in qualifications as they advance their secondary education. Personalised Learning, now and forever!